Gold is outperforming every day compare to other asset class that is the reason investor & hedge funds are investing in gold like anything. 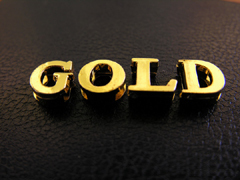 One of the best options to invest in gold is by purchasing Gold ETF. Buying Gold ETF is purchasing gold in electronic form. You buy them just like you buy stock of any company from your broker. Gold ETF makes it easier for you to invest in gold. The investment objective of Gold ETFs is to provide you with returns that closely correspond with the domestic price of real gold. Each Gold ETF unit that you buy is roughly equal to the price of 1 gm of gold. They are easy to buy since you can even buy just one gram at a time. Over time, you can build up your gold portfolio to the level you want, just as you would with your bank or jeweler, only this is easier. –Returns on compounded annual basis. Looking at data we can say that difference in return given by Gold ETF is very less. 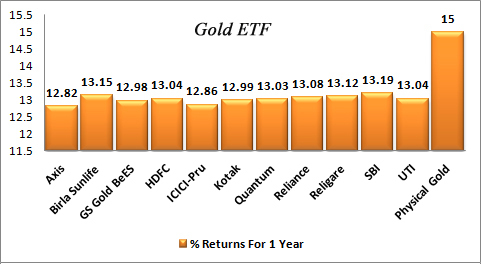 Almost all Gold ETF has given same type of performance. Selection of Gold ETF using magnifying glass will not help you much. 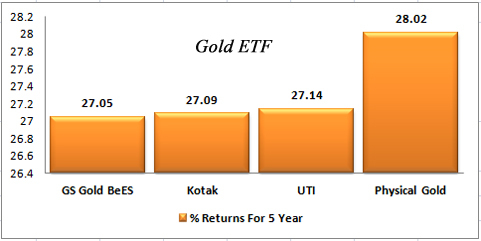 This minor difference in return is due to difference in expense ratios of various Gold ETF. Million dollar Question which is more relevant today is not “Selection of Gold ETF” but it is “Is it correct time to invest in Gold or not” What do you think? Do post your view in comments. « Religare Finvest NCD is worth for investment?